John Galsworthy and WWI on New Books in History. In time for Memorial Day, Marshall Poe talks to Jeffrey Reznick about his book John Galsworthy and the Disabled Soldiers of the Great War on the podcast New Books in History. 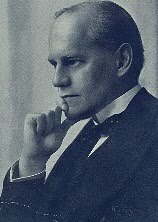 Nobel Laureate Galsworthy, best known for The Forsyte Saga (1906–21) and as the first president of PEN, advocated for the care of wounded servicemen after they returned from World War I. About the image: Author John Galsworthy, NYPL. Edmund Crispin this week on BBC Radio 7. Edmund Crispin's Oxford professor-sleuth Gervase Fen takes on murder in a film studio this week on BBC Radio 7 in Frequent Hearses (1950), read by James Wilby. Felony & Mayhem Press has reprinted several in the Fen series by Crispin (aka film composer Robert Bruce Montgomery, 1921–78), including The Case of the Gilded Fly (1944). Go here for the schedule; episodes can usually be heard online for a week after broadcast. The return of Christianna Brand. FaberFinds has put back into print the country-house mystery Heads You Lose (1941) and Cat and Mouse (1950) by Mary Christianna Brand Lewis (best known for the superb World War II hospital nail-biter Green for Danger, 1944, and the Nurse Matilda children's stories). 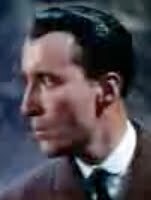 Frequent Peter Cushing costar Christopher Lee, CBE, was born today in London in 1922. An integral part of numerous horror movies, Lee played Sax Rohmer's Fu Manchu and Bram Stoker's Dracula in several films, Duc de Richelieu in The Devil Rides Out (writ. Richard Matheson and Dennis Wheatley, 1968), and Jean-Pierre in the TV series Colonel Marsh of Scotland Yard (many episodes written by John Dickson Carr, 1956). His career also has a definite Sherlock Holmes emphasis; he played Sir Henry Baskerville in The Hound of the Baskervilles (1959), Mycroft Holmes in The Private Life of Sherlock Holmes (1970), and Holmes himself in Sherlock Holmes and the Leading Lady (1991). 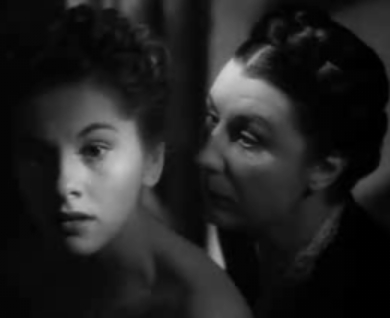 He's also the uncle of Harriet Walter (who appeared as Harriet Vane in Strong Poison, Have His Carcase, and Gaudy Night). 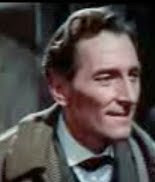 Hammer Films stalwart Peter Cushing, OBE, was born today in Surrey in 1913. He died in 1994. 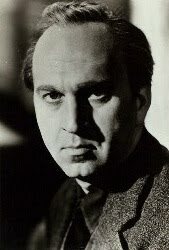 Among the notable roles in his long career were Sherlock Holmes in The Hound of the Baskervilles (and in a subsequent TV series), Josef Vadassey in the TV series adapted from Eric Ambler's Epitaph for a Spy (1953), Dr. Who in Dr. Who and the Daleks (1965) and Daleks' Invasion Earth: 2150 AD (1966), Holly in H. Rider Haggard's She (1965), and Grand Moff Tarkin in Star Wars (1977). During World War II, Cleary worked at Sather Gate Book Shop in Berkeley, CA, and served as post librarian at Camp Knight and Oakland Regional Hospital, where she observed, "Most doctors . . . read history, biography, and mysteries" (234). Her decision to write a children's book resulted from irritation with a book that read, "'Bow-wow. I like the green grass,' said the puppy. How ridiculous, I thought. No puppy I had known talked like that. Suddenly I knew I could write a better book" (246). The result was Henry Huggins (1950). 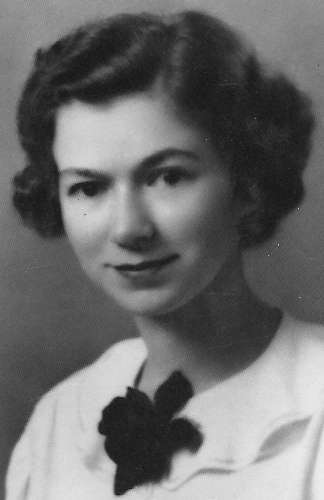 About the image: Beverly Cleary in 1938, from the cover of My Own Two Feet. • "Caring for Your Books"
• "Caring for Your Paper Documents"
• "Caring for Your Photographs"
• "Preventing Damage to Your Collection"
• "Caring for Media Collections"
Additionally, the FAQs on Preservation from the Library of Congress can be consulted. 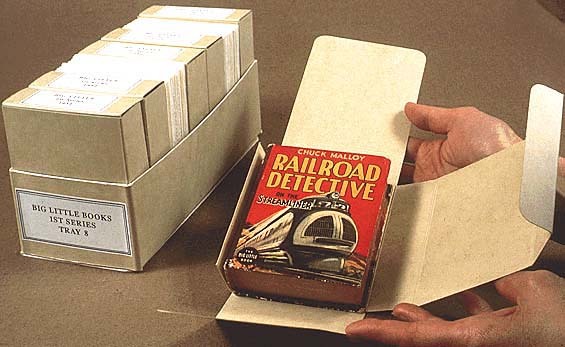 About the image: The Library of Congress takes steps to preserve Thorp McClusky's Chuck Malloy, Railroad Detective on the Streamliner (1938). BBC Radio 7: "Time Enough at Last." Today BBC Radio 7 will air "Time Enough at Last," a famous Twilight Zone episode about a bookworm after a nuclear holocaust that features Saturday Night Live alum Tim Kazurinsky. The original TV program was adapted by Rod Serling from Lyn Venable's 1953 short story, first aired in 1959, and starred Burgess Meredith. Go here for the schedule; usually the BBC Radio 7 programs can be heard online up to a week after broadcast. 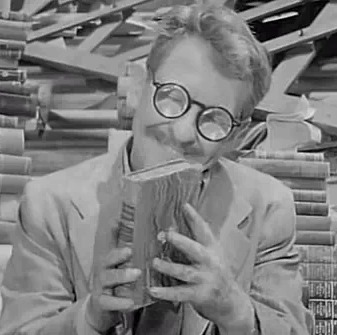 About the image: Burgess Meredith in "Time Enough at Last," Twilight Zone (dir. John Brahm, 1959). Podcast: Who Murdered Mary Rogers (aka Marie Roget). This Bowery Boys podcast looks at the 1841 murder of tobacconist shop clerk Mary Rogers, examining the possible suspects, discussing Edgar Allan Poe's version in "The Mystery of Marie Roget," and mentioning Daniel Stashower's The Beautiful Cigar Girl along the way. 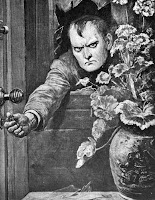 About the image: Illustration for "The Mystery of Marie Roget." Tales of Mystery, Imagination, and Humour; and Poems, by Edgar Allan Poe. 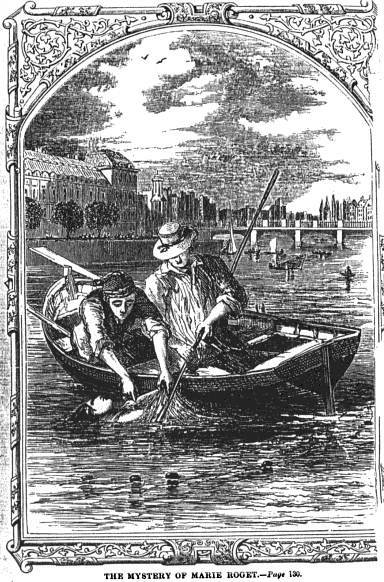 London: Vizetelly, 1852. Frontispiece. The Dumpling: A Detective Love Story (1907). After Paul Collins nominated The Dumpling: A Detective Love Story of a Great Labour Rising by British author Coulson Kernahan as "the most incoherent book title of 1907," I couldn't resist having a look. In an opium den, Max Rissler, commissioned to write an article on such places, encounters a criminal dubbed The Dumpling, who has a Napoleon complex and mesmeric abilities. (The scene has echoes of Watson encountering a disguised Holmes in "The Man with the Twisted Lip.") The Dumpling plans to kidnap prominent men for ransom to promote a more egalitarian society. Rissler learns of the murder of his friend, private detective Robert Grant, at the hands of The Dumpling and vows revenge. Along the way, he is smitten by the forthright Kate Carleton, daughter of a millionaire. The overheated narrative takes some time to get to the point, and the reader may weary of lots of anticapitalist declaiming by The Dumpling. A revolutionary uprising in London and the kidnapping of King Edward VII form the melodramatic climax. 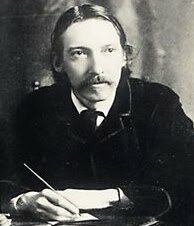 Kernahan (1858–1943) was an author, critic, and poet, possibly best known for the book In Good Company (1917), which features his recollections of Swinburne, Wilde, and other literary lights. Captain Shannon (1898), with Rissler in pursuit of an Irish anarchist (Kernahan's parents were Irish), may be of interest to mystery fans. About the image: "There peered through a broken pane of glass. . . the white and wicked face of The Dumpling." Illustration by Stanley L. Wood for Coulson Kernahan's The Dumpling (New York: Dodge, 1907). Podcast: Charlaine Harris at the Free Library of Philadelphia. In this May 5th podcast from the Free Library of Philadelphia, Charlaine Harris talks about Dead in the Family, her new Sookie Stackhouse novel. 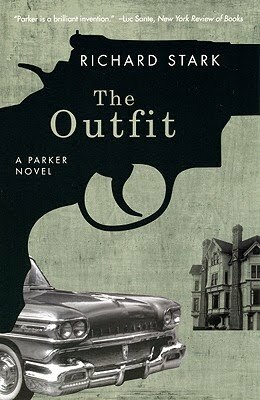 Write Parker flash fiction, win Parker novels. Chicago's Seminary Co-op Bookstores are running a contest: write a 350-word flash fiction story about a bookstore heist featuring Richard Stark's Parker; get a chance to win the University of Chicago Press reissues of the novels of Stark (one persona of the late Donald Westlake). Second prize is the graphic novel The Hunter, which also features Parker. Deadline is June 14. Last week's Onion Chess column, "Checkmate In 6 Moves," totally missed the black knight on C5, rendering the entire attack a catastrophic blunder. The Onion regrets the error and apologizes to any readers who attempted the gambit in chess matches against Death. 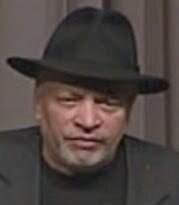 In Tablet, a project of NextBook, a nonprofit organization devoted to Jewish literature and culture, Harold Heft makes the case for adding Mosley to the pantheon of Jewish writers (Mosley's mother was Jewish). Happy birthday, Daphne du Maurier. Suspense master Dame Daphne du Maurier was born today in London in 1907, the daughter of actor Sir Gerald du Maurier and granddaughter of author-artist George du Maurier. Virago and New York Review of Books Classics have issued recent editions of her work. Leslie Charteris, the creator of "The Saint," aka the "Robin Hood of modern crime," was born today in Singapore in 1907. He became an American citizen in 1946 and died in 1993. The Saint, aka Simon Templar, debuted in Meet the Tiger (1928). He was played on film by Louis Hayward, George Sanders, and Val Kilmer, among others; on radio by Brian Aherne, Vincent Price, and Sanders's brother Tom Conway; and on TV by a pre-James Bond Roger Moore. 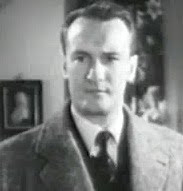 About the image: George Sanders in The Saint's Double Trouble (dir. Jack Hively, 1940). In honor of Ian Rankin's 50th birthday (which occurred on April 28th), the Guardian offers a photo gallery of Literary Edinburgh, including residents such as Alexander McCall Smith. About the image: Robert Louis Stevenson, one of the authors included in the Guardian's Literary Edinburgh gallery. Photo, NYPL. Nancy Pickard on Barnes and Noble Studio. 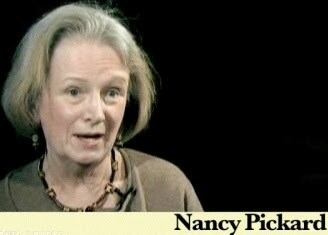 Nancy Pickard discusses her new book The Scent of Rain and Lightning on Barnes & Noble Studio, particularly "the startling things that can happen to human beings when they think their lives are going along on a certain trajectory," as well as the story behind how she became a novelist and her role model, Nancy Drew. Sad to read of the death of Nina King, Washington Post Book World's longtime editor. Mystery readers also may be familiar with her Agatha-nominated book with Robin Winks, Crimes of the Scene (St. Martin's, 1997), that is a handy guide to mysteries set in foreign countries (perfect for the traveler on your gift list). 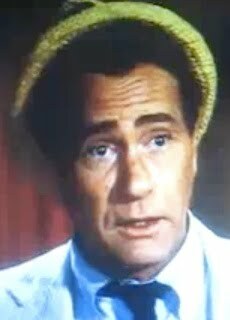 Actor Darren McGavin—best known as Carl Kolchak, a reporter who pursued paranormal occurrences in Kolchak: The Night Stalker (1974–75)—was born today in San Joaquin, CA, in 1922. He died in 2006. 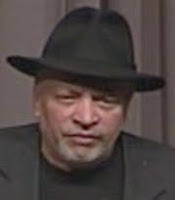 His long career included appearances in Alfred Hitchcock Hour; Berlin Affair; Burke's Law; The Defenders; Law & Order; Magnum, PI; Man from U.N.C.L.E. ; Mannix; Mike Hammer; Mission: Impossible; Murder, She Wrote; Mrs. Pollifax, Spy; Nero Wolfe; Police Story; Shaft; The Rookies; Suspense; and The X-Files. 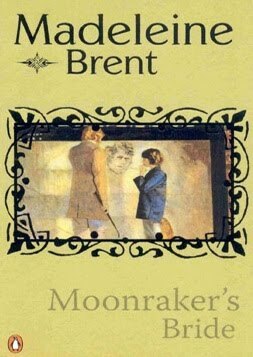 While most items around the Internet about the writing career of Peter O'Donnell, who died on Monday at age 90, have focused on the intrepid Modesty Blaise, only the Times of London and the Guardian have (briefly) mentioned his alter ego: Madeleine Brent, author of nine romantic suspense novels. These are splendid looks into historical periods (e.g., the Boxer Rebellion in Moonraker's Bride, 1973) with heroines who are consistent with their time yet possess enormous strength and courage. One (Heritage of Shadows, 1983) had a shocking revelation about the heroine that readers do not guess, although the clues are there for all to see (no spoilers here). The supporting characters are just as well crafted as the protagonists; a particularly delightful episode in Merlin's Keep (1977) features a family attempting to best government bureaucrats. My sister is very fond of a cranky elderly general in Moonraker's Bride who tells one of the male characters regarding the heroine, "She's worth ten of you, you young rip."). 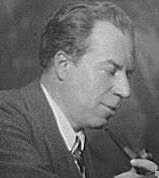 Baker Street Irregulars founder, critic, writer, poet, and all-around bookman Christopher Morley was born today in Haverford, PA, in 1890. He died in 1957. Among his many notable works are Parnassus on Wheels (1917), The Haunted Bookshop (1919), and Kitty Foyle (1940). I particularly adore his spoof of Henry James (published in Travels in Philadelphia, 1920). Happy birthday, Howard da Silva. Actor Howard da Silva, a victim of the Hollywood Blacklist, was born today in Cleveland in 1909. He died in 1986. Perhaps best known for his role as Benjamin Franklin in both the stage and film versions of 1776, he had substantial mystery-related credits, with appearances in The Defenders, The Fugitive, Mannix, The Man from U.N.C.L.E., They Live by Night, the CBS Radio Mystery Theater, and the US version of M.
About the image: Howard da Silva, NYPL. This innocuous-looking dictionary in Yale's Beinecke Library is no such thing. It's a manual for the destruction of various elements of the WWII German war machine by the French Resistance.